This is semi related to the other thread. In this one I'll be talking about the data structures involved for research purposes. This may help others down the line, it may help me if someone later manages to fill in some gaps that I was unable to. I'm somewhat new to this process, so there may be terms I'm using incorrectly or I may not be accurately identifying datatypes. Point this out to me if so. This post will discuss the structure of CML files. The file format contains no pointers at all. To organise data, the file uses tags and elements. Elements within tags contain an element ID. The format isn't entirely understood and seems oddly inconsistent. Tags are NOT 32bit aligned. Elements within tags can appear in any order. There may also be duplicate elements. Tags can contain no elements at all! VTBF - Seems to contain the entire file. 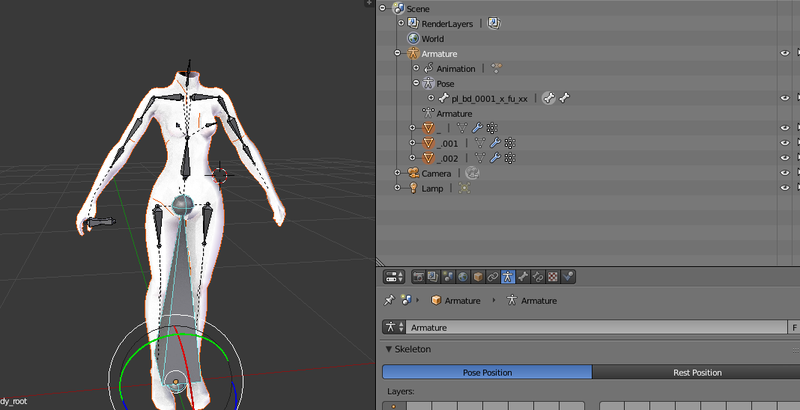 FIGR - Contains sliders for shapes, such as body, face, etc. COLR - Contains sliders for colours. SLCT - Contains IDs for parts, such as hairstyle, outfit, accessories, etc. A tag itself has string identifiers for the start and end of sections of length 4 chars in ASCII encoding. A tag can start with any of the above mentioned types. A tag ends on a string "vtc0", unless the end of the section is the end of the file. Following the tag is usually 2 empty bytes followed by a short. This short represents the number of elements the tag contains. For example, the bytes "46 49 47 52 00 00 0B 00" are tag "FIGR" followed by 2 0s and then a 0x0B, which is saying this tag contains 11 elements. As you may imagine, this varies by tag. A SLCT tag element is not like a FIGR tag. FIGR and COLR are practically identical however. 2 unknown Bytes for FIGR and COLR. 1 for SLCT. Element ID can be a hexadecimal number or it can be a binary encoded decimal. FIGR elements seem to be hexadecimal. There aren't enough COLR elements to say. SLCT element ids are binary encoded decimals. FIGR and COLR elements contain 3 signed integers. FIGR's ints are vertex1Ypos, vertex2Xpos, vertex2Ypos. Note that the COLR is just coordinates not actual colour data. These are values that take values from a map, and each race has their own map. This is why when you convert a character from one race to another, their skin colour may change. SLCT is simpler. SLCT is just an integer ID. Note: The IDs themselves have been changed to make them work as array indices. For example, ID 0x25 is treated as "5" as the IDs for the COLR tag elements start as 0x20. It's plausible that some bits in the first nybble are used as flags. As this contains a small array of values, might as well share them here. 48 01 - unknown. I ignore these bytes currently. 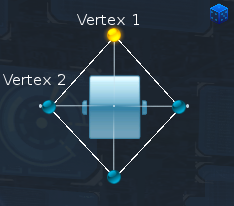 Note that Vertex 1 can only move up and down in the Y axis while Vertex 2 can move in both X and Y. The other two vertices just mirror the other side. Admittedly I'm not 100% sure which is the real vertex and which is the mirrored one, but I'm not that worried currently. Hope that helps clear that up. 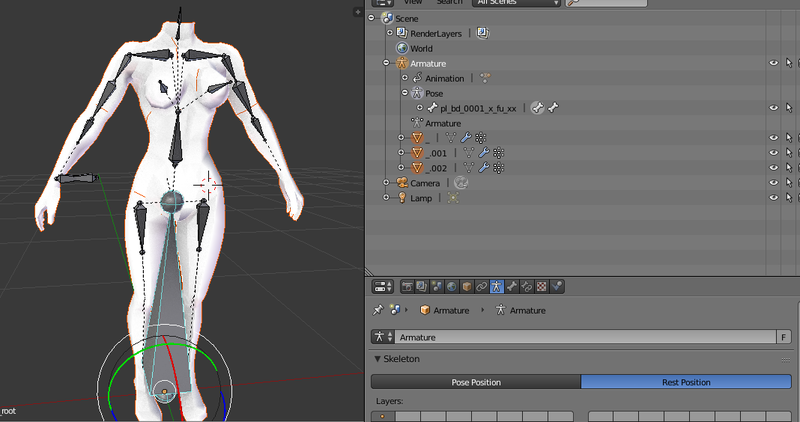 result:"F7" relate to the vertex 1 postion. What are your numbers referring to? Best I can make from google is your list matches my figr data close enough, just not sure what your numbers are. if you use jp version ,for example (pso2 CC 4).you can see these "jp or chinese words" when making character. finally get this character's bone scale. man human bone scale data store in "pl_cmakemot_b_mh.aqm" ,change with Frame change.. Cool stuff! Might check some of this out after I'm done making something for a gamejam. c: One of the things that could be done with this kind of data is to essentially turn cmls into models that could be used anywhere. The big problem is I'm pretty inexperienced with 3D data structures and the related mathematics, so it might not be possible for me to do it myself. have more news or not depend on complet_percent and convenience. --"One of the things that could be done with this kind of data is to essentially turn cmls into models that could be used anywhere."